On Election Day in Amherst, on November 6, 2018, look for Amherst Survival Center food drive barrels at your polling place. Please feel free to bring donations of non-perishable (canned) food and personal care items and drop them in the barrels on your way to VOTE! (Please no glass containers or expired food). Below is link about our Election Day Food Drive – please share the link with your friends. HOUSE PARTY: Monday, October 15, 2018, 7 PM – 8:30 PM, Ellen and Jack Middleton’s, 30 Ward St., Amherst. Come and meet me. I would like to hear what is important to you and let you know what I am thinking. 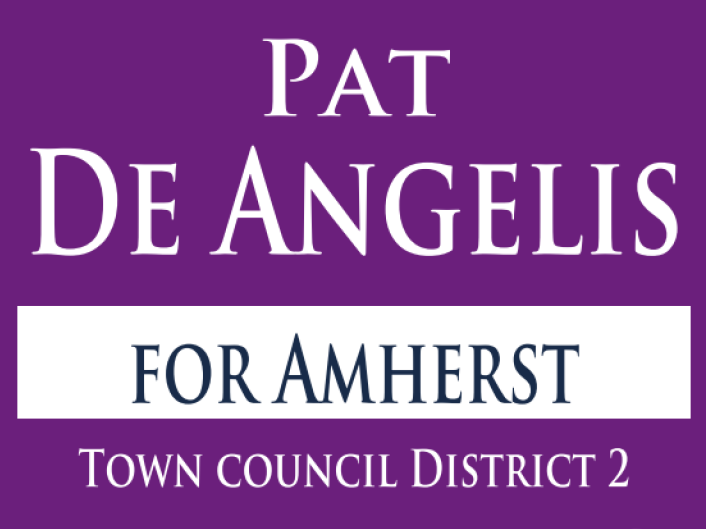 Please RSVP to patforamherst@gmail.com so we know how many people to expect.